Named one of TIME magazine’s “100 Innovators for the Next New Wave,” Suzan-Lori Parks is one of the most exciting and acclaimed playwrights in American drama today. She is the first African-American woman to receive the Pulitzer Prize in Drama for the Broadway hit Topdog/Underdog and is a MacArthur “Genius” Award recipient. She has also been awarded grants by the National Endowment for the Arts, the Rockefeller Foundation, the Ford Foundation, the New York State Council on the Arts and the New York Foundation for the Arts. She is the recipient of a Lila-Wallace Reader's Digest Award, a CalArts/Alpert Award in the Arts (Drama) for 1996, a Guggenheim Foundation Grant and and is an alumnae of New Dramatists. 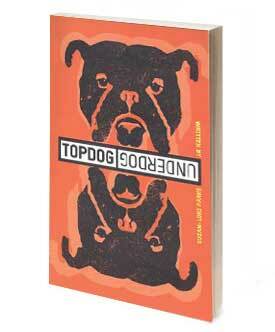 Her work is the subject of the PBS film "The Topdog Diaries." 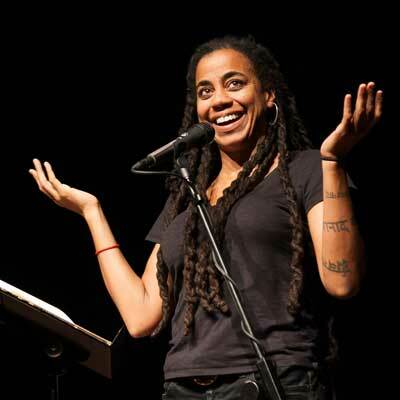 Suzan-Lori Parks’ talks are part performance, part storytelling – always high energy, with an inspired sense of humor. What’s 3 Card Monte, Anyway?